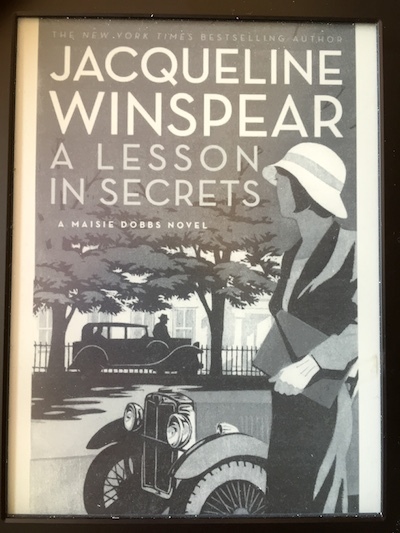 Maisie Dobbs is an independent woman in 1930s London. She is a private investigator, which lends itself well to a mystery series. This is the eighth book in the series; pro-fascist groups are on the rise in London (and Britain in general). Maisie is hired by a national security organization to keep an eye on a private college in Oxford that emphasizes peace in all its teachings. Not because they want to avoid war, but because the security services are worried the pro-fascist factions have infiltrated it. She is supposed to do some light investigating and keep the right people apprised of what she discovers. Of course, the college’s head is murdered and Maisie needs to figure out who did it. A Lesson in Secrets is the first in the series that I’d read; that was a mistake. There are a number of characters and a couple of ongoing plots that were hard to keep track of simply because I wasn’t familiar with the previous seven books. That said, I liked the tone and crisp efficiency of the book and the main character. These are People Who Get Things Done. I think that’s what mysteries are ultimately about: taking a messy situation and putting it in order. This one fills its mission well, and I do love a bit of 1930s London & Oxford. I will definitely go back and read the previous books.